Richard Douglas is a PhD candidate at Goldsmiths, University of London. Working within the CUSP research stream on the meanings and moral framings of the good life, he is analysing the ‘limits to growth’ debate in light of the ‘secularisation thesis’. A PhD candidate at the Politics Department at Goldsmiths, University of London, Richard Douglas is contributing to CUSP work on meanings and moral framings of the good life. His research involves analysing the ‘limits to growth’ debate, between environmentalists and the defenders of indefinite growth, in the light of the ‘secularisation thesis’ debate on the relationship between progressive secularity and theology. This research follows two procedures, beginning with an empirical investigation into the concept of indefinite growth, as used by its defenders. Following this is a theoretical analysis of the extent to which this rhetoric can be understood as a defence of a modern idea of infinity, understood as a formerly theological concept which, at the time of the scientific revolution, was transferred both to an understanding of the physical universe and to its scientific study (and technological mastery). Previously, Richard has worked as a committee specialist at the House of Commons Environmental Audit Committee. In this role he supported the Committee on a range of inquiries, including those on the economics of climate change, emissions trading, carbon budgets, green taxation, sustainable transport, and sustainable housing. 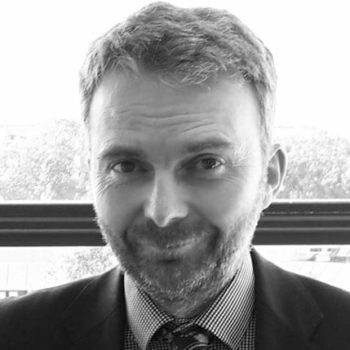 He has also worked as a senior analyst at the National Audit Office, examining the value for money of government projects and the financial sustainability of local government services. He has also been involved in the Prince of Wales’ Accounting for Sustainability project.